Thank you all for the great feedback from the past few posts. Before we get into the actual yarns we produce I have one more post about the wool that goes into our yarns, back to Oliver..
To understand the first part of processing the fleece, we have to look to the wool quality and go back to the first report on Shetland sheep and its wool. As we talked about in another post the report by John Shirieff compiled in the 1790s, states there are two distinct breeds in the Islands. The ‘Kindly’ wool sheep with a very fine fleece and a the coarser wool sheep ‘although some of its fleece be fine , it is of a quality unfit for any general purpose of manufacture, some of it is as shaggy as a Welsh goat’ The kindly wool was much sought after in order to hand spin and knit into fine lace shawls, stoles etc. The coarser wool was of little use, some of it was used for the ‘grund’ the base of a ‘Tattit’ rug, which was constructed by the crofter and used as a bed covering, later on it was used on the floor as a mat. It is interesting to note that the ‘Tattit’ rug collection some over 100 years shows little or no wear, meaning it was ideal for a floor covering, Shetland’s Tattit Rug collection will be the focus of a major exhibition at the Shetland Museum from the 23rd of May – 19th July. Shetland sheep genetics ensure that these two distinct breeds survive to this day, through the centuries they cross bred between the two, so you can have both wool types in one fleece. Superfine wool at the neck and shoulder through to the much coarser guard hairs toward the hips, which forms the britch. Some of the older crofters maintained that even the finest wool sheep should have a heavy britch in order to protect it when it was lying down amongst the coarse springy heather. 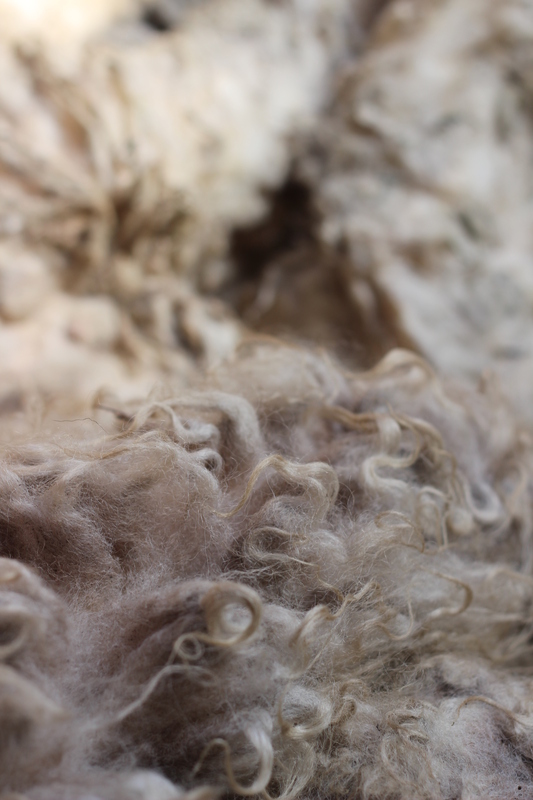 After we have graded the wool into five grades selecting the fleece by style ‘crimp’ uniformity of quality, strength, springiness and handle – softness and of course fibre fineness. Next step is hand sorting of the fleece which means the coarser guard hairs are separated from the finer fibre. If the guard hair is not separated at this stage you will end up with a coarser itchy yarn. The diameter of the wool fibre influences to a large extent the use to which the wool can be put and also the length of yarn that can be spun from a given weight of wool. Users and manufacturers normally use a series of quality numbers to indicate fibre fineness. These numbers in ascending order of fineness, are 28s ( the thickest, coarser fibres)32s,36s,49s,44s,46s,48s,50s,56s,58s60s,64s,70s,90s,100s ( the very thinnest, finest fibres.) Most British wools are within the range 28s to 58s. An average Shetland fleece is around 56s/ 58s . Quality numbers are not based on any particular unit of measurement, they are standards handed down from generation to generation of woolmen and can be learned only by practical experience and handling of wools. This is the measurement of the unstretched staple from tip to base. The figures quoted are the standards for each grade. The softness or harshness of the wool when handled. This refers to the amount of gloss or sheen visible on the fibres. Degree of lustre varies greatly between different types. A bright lustre is an asset for certain manufacturing processes. The nearness of the wool to white (or black in the case of black fleeces.). The ability of the staple to resist breaking during manufacture. The word ‘sound’ is used to describe wool of satisfactory strength rather than ‘strong’ which, in wool terminology, refers to thick or coarse fibres. The opposite to a sound wool is a ‘tender’ wool. 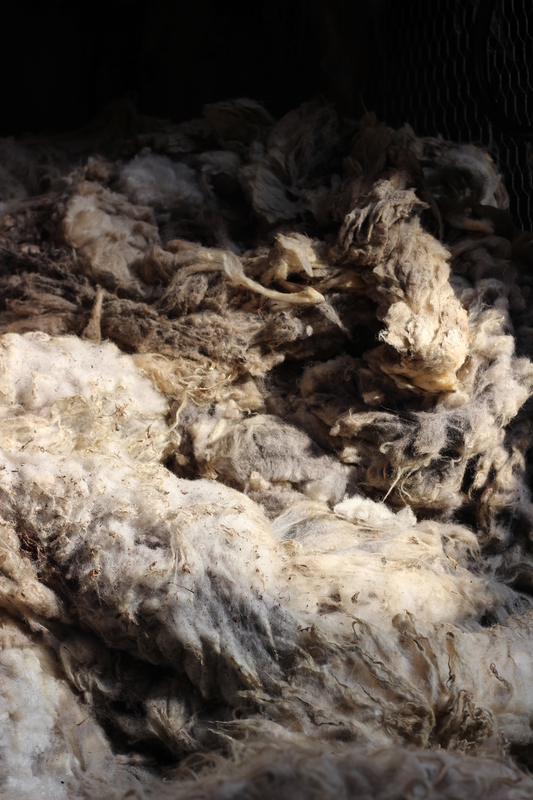 Tender wools may have a break in all the fibres at one point in the staple as a result of illness or drought. The presence of grey or black fibres in a fleece restricts its dyeing range to the darker shades. This fault occurs in many of the white- woolled breeds. 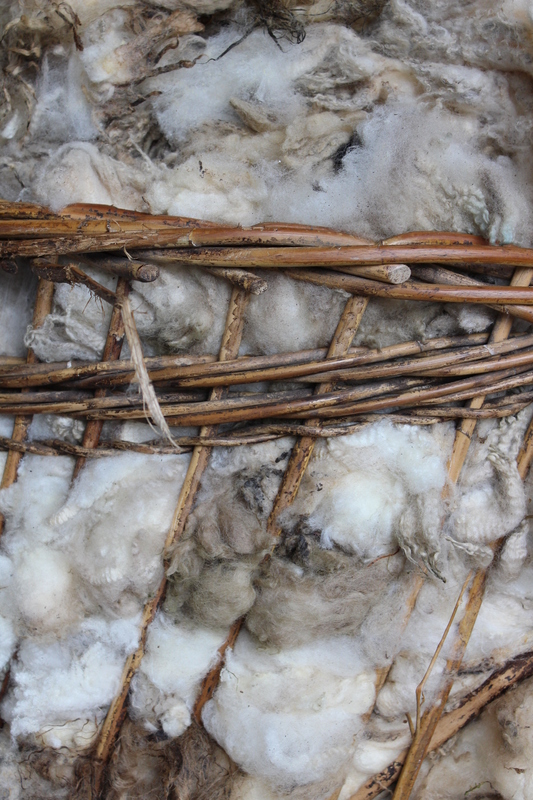 A brittle white fibre, shed during the growth of the fleece, which is extremely difficult to dye. In Welsh wool red kemp is often found. A term applied to wool which contains up to 6% soil, peat moor, or sand due to the sheep having been run on arable crops or peat moors. A term applied to wool which contains over 6 % of soil or sand. This refers to wool from a sheep that is first shorn as a yearling. Refers to wool from the second and subsequent shearing’s. 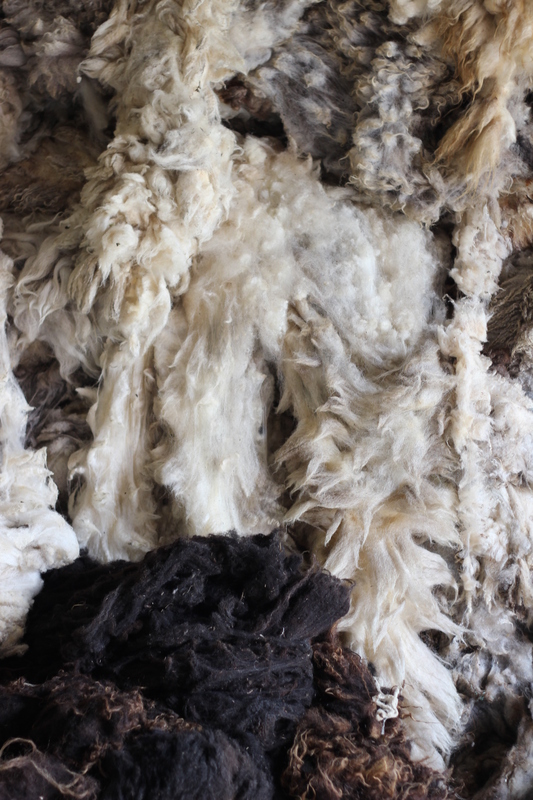 The amount of clean, dry wool remaining after the dirt and grease in the fleece has been scoured away commercially. raw wool bales being shipped away for processing, a common sight at J&S during the Summer months. Various Stages in wool processing. The wool process begins with shearing which takes place once a year usually during the early summer. Once the sheep has been shorn the wool is taken to us at Jamieson & Smith, then graded and sorted as described earlier. 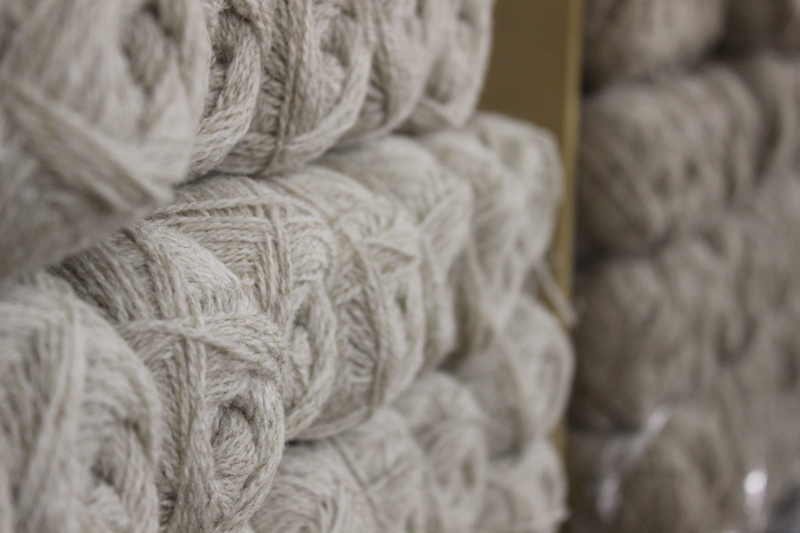 The wool is then shipped away to be processed and dyed on the mainland, something we have always done. Originally at Hunters of Brora and now via our parent company, Curtis Wool Direct. 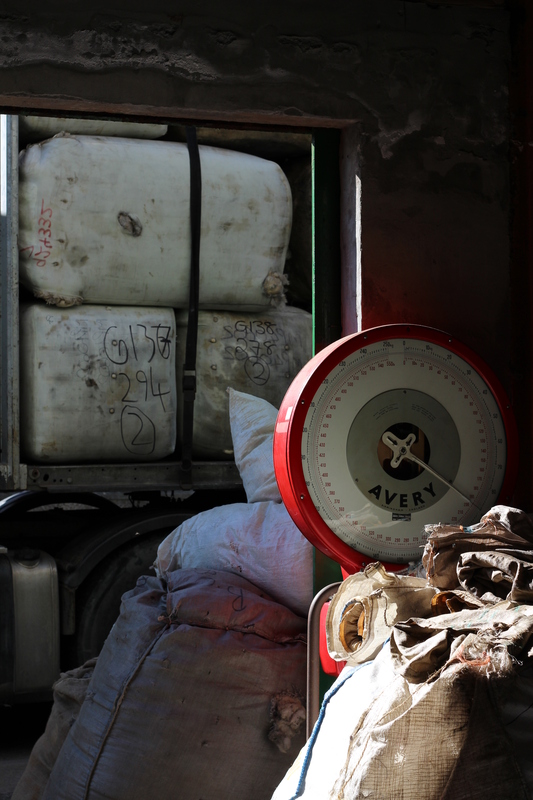 After grading and sorting the wool is then passed through the scouring and washing plant, where five different washes remove the natural grease and other foreign matter. A by- product of scoured wool is Lanolin which is extracted from the grease and is used in the manufacture of fine soaps and cosmetics. Carding is the next stage. The object of carding is to separate and straighten the long fibres whilst eliminating vegetable matters such as heather, peat lumps etc. The carding machine produces a continuous ribbon of loose fibres approximately the thickness of one’s wrist, known as carded silver. At this stage you can choose two different avenues of spinning, they are the worsted and the woollen process. To deal with the former first the wool goes through a stage called combing. The worsted process uses only the long fibres, the carded silver is combed to separate the long fibres from the short (noil ). After combing the fibres run parallel with each other to form a combed top in preparation for spinning. Dyeing is often done at this stage. Spinning – Worsted process. Prior to spinning, the carded ‘top’ is drawn into a finer ribbon and a slight twist added which is then called a ‘roving’. The ‘roving’ is then placed on to the spinning frame, drawn out and twisted into a fine single ply yarn. Depending on the end use of the yarn can be twisted into a fine single ply yarn but also to form two, three or multiple ply yarn. Moorit 2ply Supreme Lace Weight, one of our Worsted spun ranges. Spinning – Woollen process. 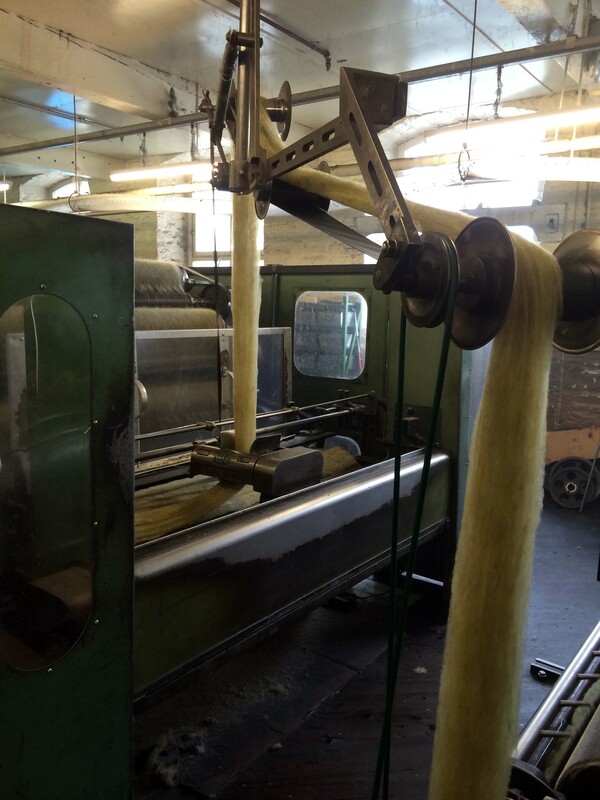 Spinning for the woollen process produces a softer bulkier handle to the yarn as opposed to worsted spinning which produces a stronger finer quality yarn. A considerable quantity of yarn produced by the the woollen process goes into knitting wools and knitted products. Thanks so much for these wonderful blogs! I am a HUGE fan of J&S and love the quality of the yarn. I will pass these blogs along to Needles of Fury, a student organization on the campus of Illinois State University, located in Normal, Illinois. I’ve been reading your “feuilleton” since it started. So interesting! I visited Shetland last year in may, and fell in love at the first sight, just want to go back as soon as possible! Thanks for making the education of the fleece-buying public easier! I plan to share links to these posts on my blog and with my buyers. I breed kindly-fleeced Shetlands in the U.S., where the “crossbred-fleeced” Shetlands — and even the “Welsh goat-fleeced” Shetlands — are far more common, and thus are accepted by many as what Shetland SHOULD be. I love the use of the term “arable” to refer to the amount of soil in the fleece. Thank you Oliver for an extremely interesting post. Brilliant post! I wonder how long it takes to gain the ability to sort by feel and sight as Oliver does. 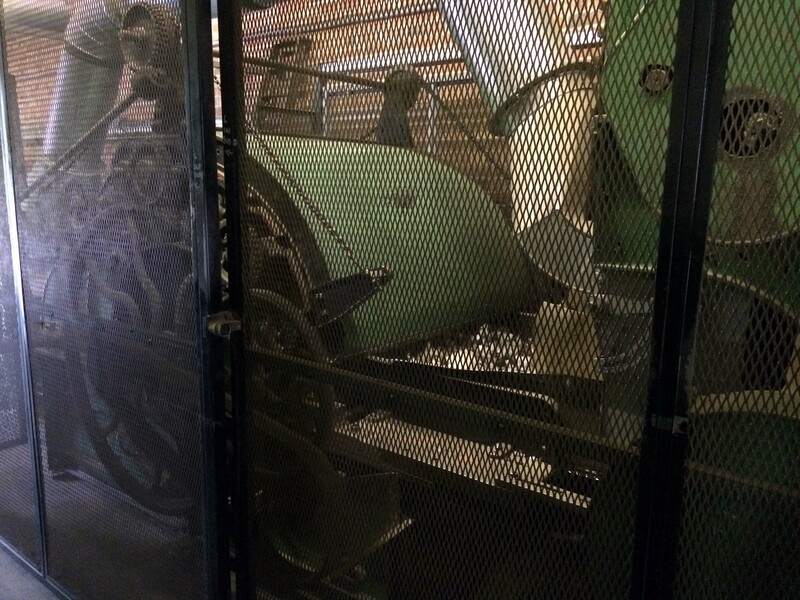 While on a tour, I watched the main sorter work, in our local Wool Co-operative and he was quite quick. He had two young men assisting but alas I don’t know if they sorted as well, or were in training to do so. I know some people just seem to have a good hand, while others really struggle to feel the difference, when touching raw fleece or finished woolen products. Did Oliver learn to be a good judge of fleeces or did he naturally have a good hand, thus making it easier to train, for the fleece sorting he does? I think it is always important to remind people what the origin is of the products they spend their hard earned money on. 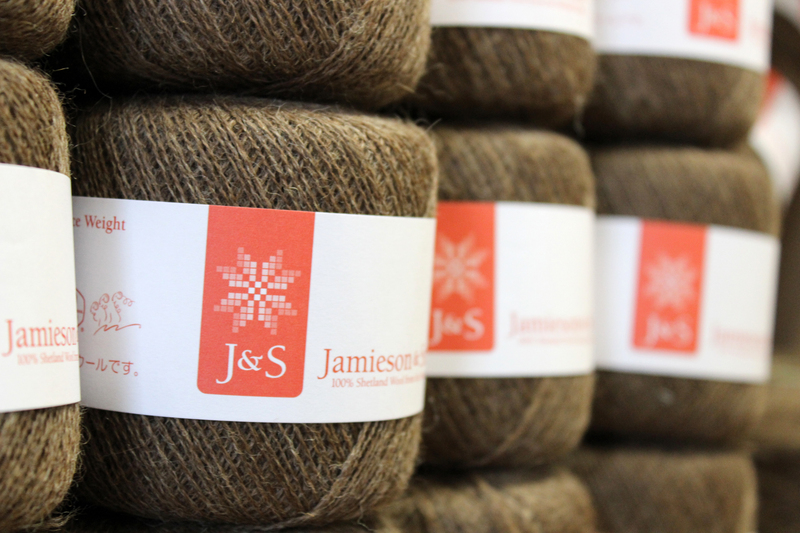 This series of blogs will show just how much work is involved in getting that unique Real Shetland Wool product to you, whether it be one of the world famous Jamieson and Smith hand and machine knitting yarns, a throw, a duvet, a carpet or rug or a fabulous bed filled with beautiful bulky and springy wool. It is a story that we must never forget and never stop telling because new generations deserve to know that they are getting the best wool #naturally and should treasure it just as we do. And part 3. Really enjoying this article!